Facebook is testing a way to make paying with a credit card easier, but it works with PayPal, not against it as AllThingsD wrote. The feature pre-fills credit card and billing info for making easier purchases through PayPal, Stripe, Braintree or other payment processors in third-party mobile apps. It’s not a payment processor itself, but could help Facebook prove the ROI of its ads. 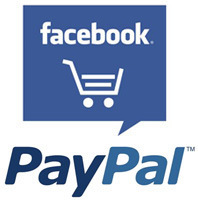 AllThingsD first reported Facebook was working on a new payments test with e-commerce app JackThreads, but mis-framed it as an immediate threat to PayPal’s core business. Since Facebook doesn’t actually process these mobile app payments, it can’t be used as a replacement for PayPal. One day that could change with a lot of work on Facebook’s part to become a processor, but not yet. Let’s say you click through an ad on Facebook to an e-commerce app or visit an e-commerce app on your own. When you go to make a purchase you’d normally have to type in your credit card and billing address information on your tiny keyboard. That’s a hassle that discourages people from actually buying things. With Facebook’s new payments test, you’d see a button that says something like “Let Facebook Input My Billing Info.” You’d then see a data permission request asking you to allow access to the billing info you’ve previously stored with Facebook from buying Gifts or making payments in games. With one click, your permission fills in all that billing info and you can hit the “Confirm Purchase” button. The payment is then processed by whatever processor the app already uses, be it PayPal, Braintree, Stripe, or whatever, and it collects its normal fee. In effect, Facebook’s payments feature is a data layer that rides on top of other payment services rather than competes with them. This is similar to how Facebook doesn’t compete directly with iOS and Android, but is instead a social layer on top of them. Facebook could also use the same flow to make it easier for advertisers to buy those ads. Perhaps years from now Facebook could get serious and set itself up as a payments processor, but for now this feature has other benefits for Facebook beyond earning direct revenue at the expense of PayPal. For the short to mid-term, Facebook’s business is ads. Its strategy is offering advertisers and developers whatever tools it can to get them to buy more ads, whether that’s online or offline. In the meatspace, Facebook is working with Datalogix to measure how its ads encourage purchases at brick and mortar stores. If it can show a toothpaste brand that a $1 million ad buy in San Francisco increases its toothpaste sales by $3 million in the city, it can persuade them to keep advertising with it. Online, Facebook wants platform developers to buy its ads and contribute content it can show ads next to. It launched mobile app install ads in November to help developers get their products discovered despite the crowded app stores. The ads quickly rose to become a significant part of Facebook’s ad revenue. Then it acquired mobile backend-as-a-service Parse in April to make it easy for developers to host their apps and concentrate on the user experience. By getting closer to developers through Parse, Facebook can push its social sharing SDK that gets apps sharing content back it can monetize through ads, and also promote its mobile app install ads. Since Facebook’s business is moving decisively towards mobile, and it faces competitors in the social ads space from Twitter and other platforms, it has to do everything it can to juice ad sales while improving the user experience. A simple answer to making more money is either showing more ads or branching out into entirely new businesses like third-party payments processing. But a better one may be looking to simply make its existing ads more relevant and expensive by using data to improve their targeting and prove they work. And while it’s always tempting to assume anything big companies do is to make money, Facebook may have simply felt it was silly for people to be punching in their payment details on mobile when it already has them stored. Facebook actually tried to allow developers to request home addresses to eliminate billing and shipping info input friction back in 2011, critics had an unnecessary freak out about privacy and Facebook shut the option down after just a few days. With any luck we’ve evolved since then, and might allow Facebook and other companies to erase this hassle across the web.